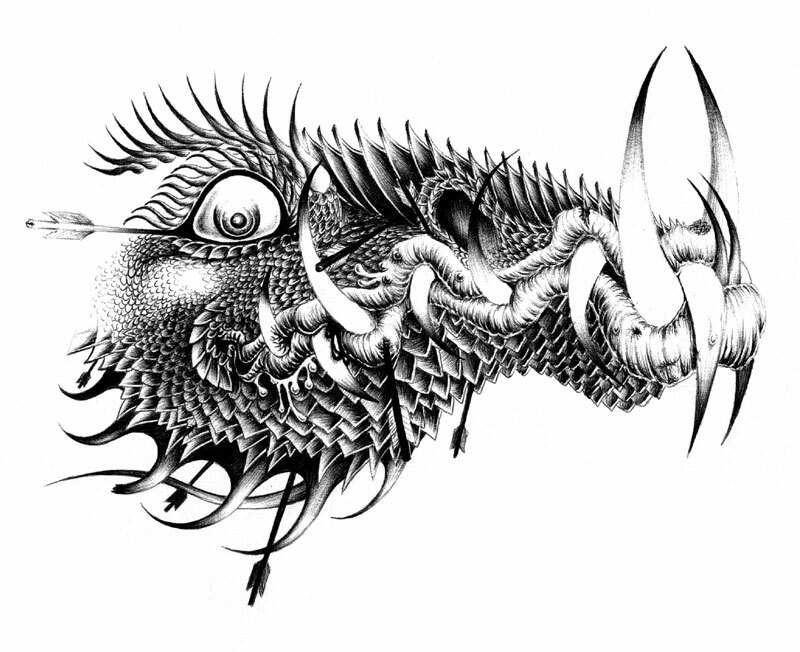 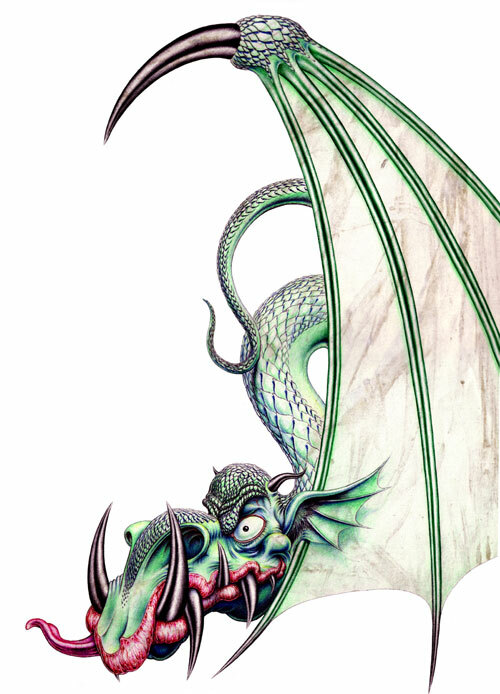 For me, dragons are symbolic of the power of nature, reminding me how fragile and vulnerable our species is. 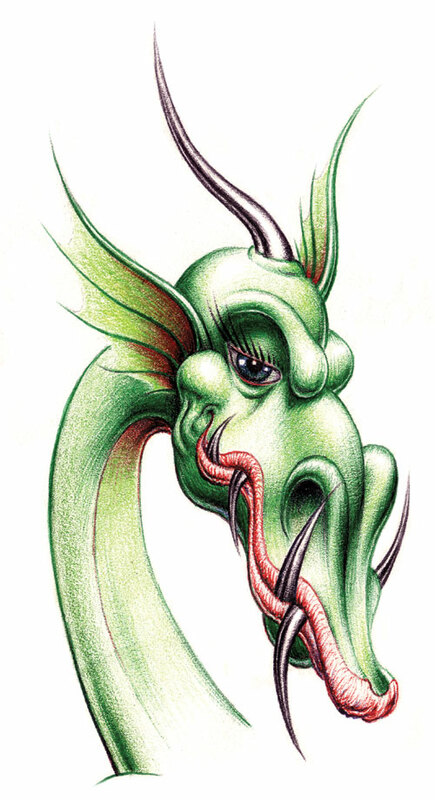 They appear in many cultures around the world, and their origin could be traced to early man occasionally finding the bones or fossils of very large and long creatures that no longer seemed to be around. 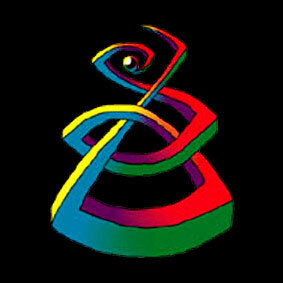 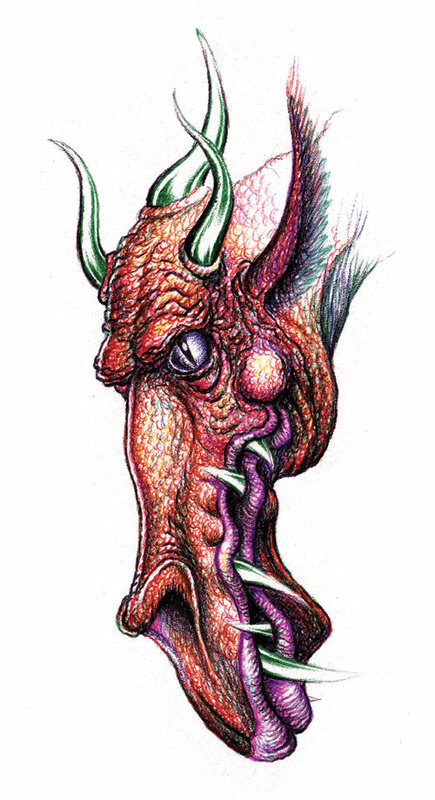 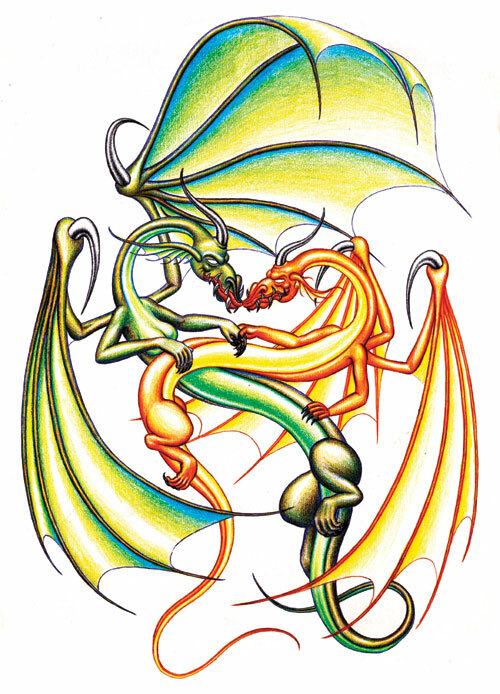 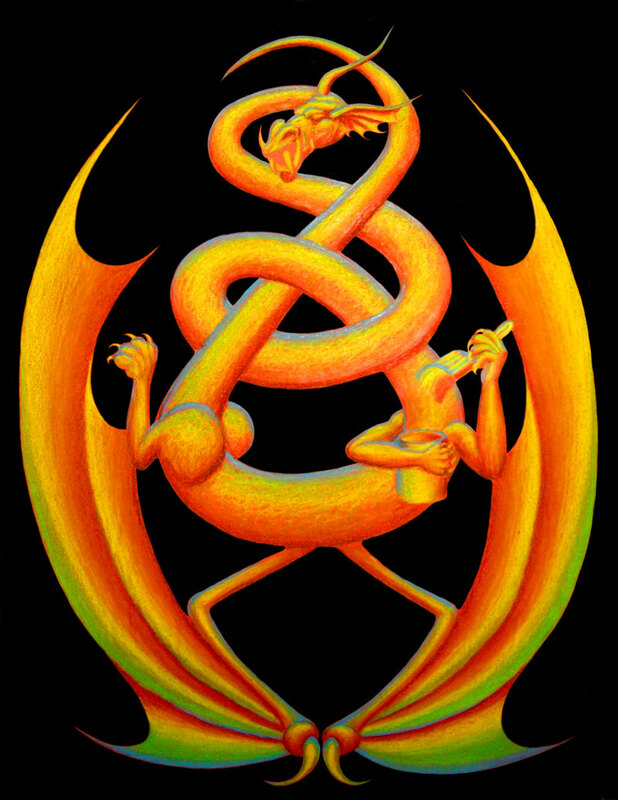 I also like the curves, colours and shapes that are often found in dragon imagery. 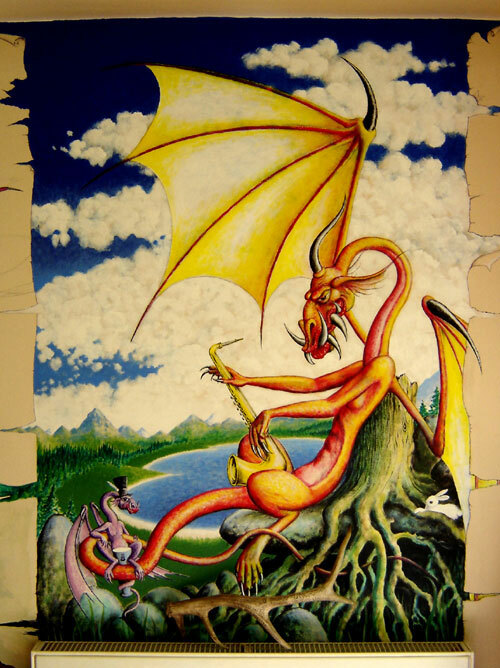 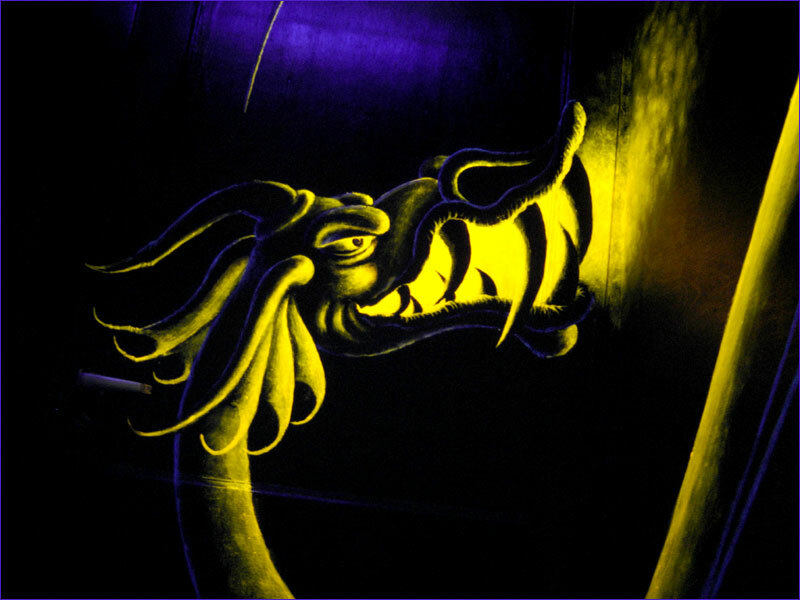 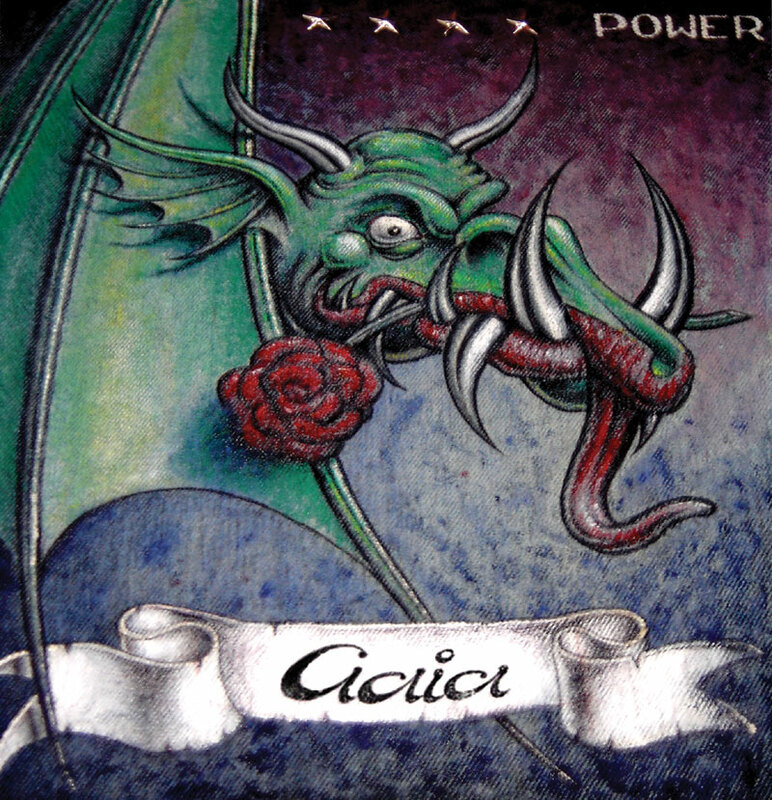 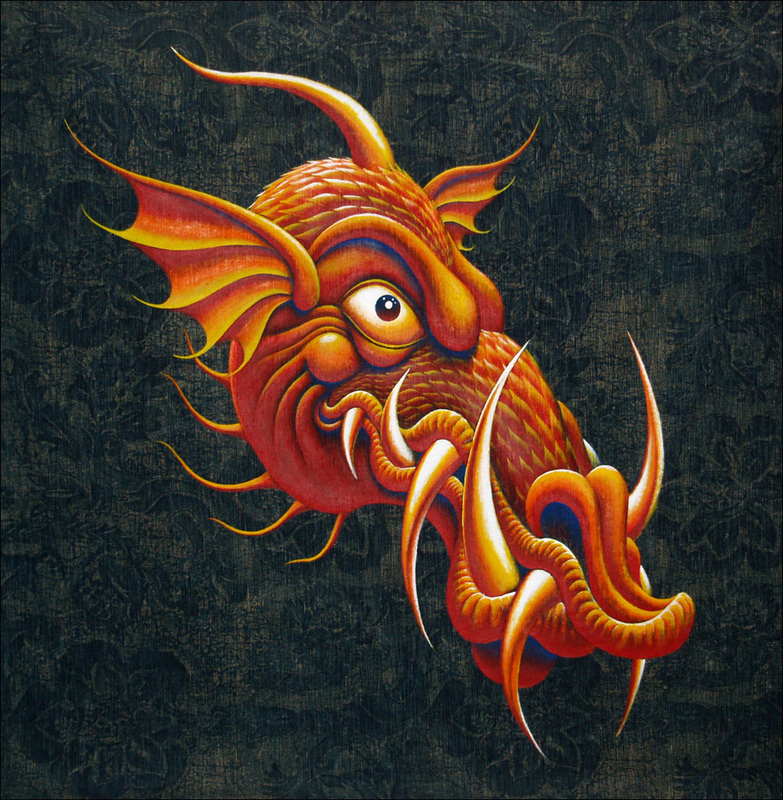 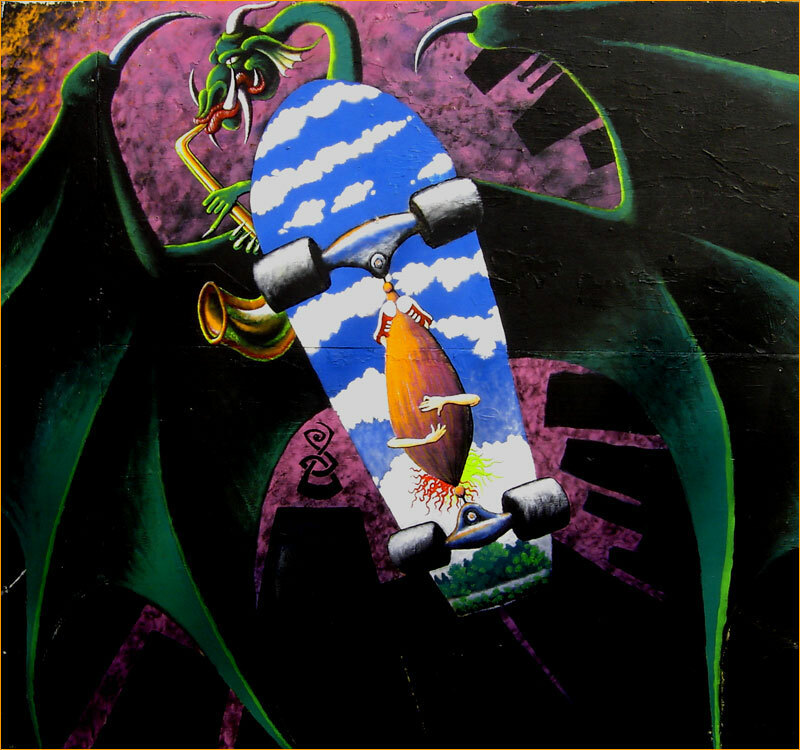 Gold ultra-violet Dragon, painted on the four walls (and three doors(, the ceilling and the floor, of a very small black room in East Oxford in 2006.